I know I'm such an awful blogger these days... I've been so busy and I never seem to get the chance to sit down to type things out. Let's see, in the past month my hubby and I had our one year anniversary. We took a two week road trip to St. Louis, MO and back. And I've started yet another online business. I've opened my own Etsy shop this past weekend! (http://www.cambraycreations.etsy.com) With my new sewing machine and all this fabric I have.. and my need to buy even more of it... I decided maybe this would be a great way to help fund my addiction to sewing and buying fabric. I really didn't think I was good enough to actually sell anything I made, but lots of my friends, family and strangers I've talked to in public have convinced me otherwise. So I went for it. I made a bunch of stuff and I posted it for sale in my store. Now I just wait and see if anyone actually likes my stuff enough to buy it lol. Large wallet. This was my "tester". 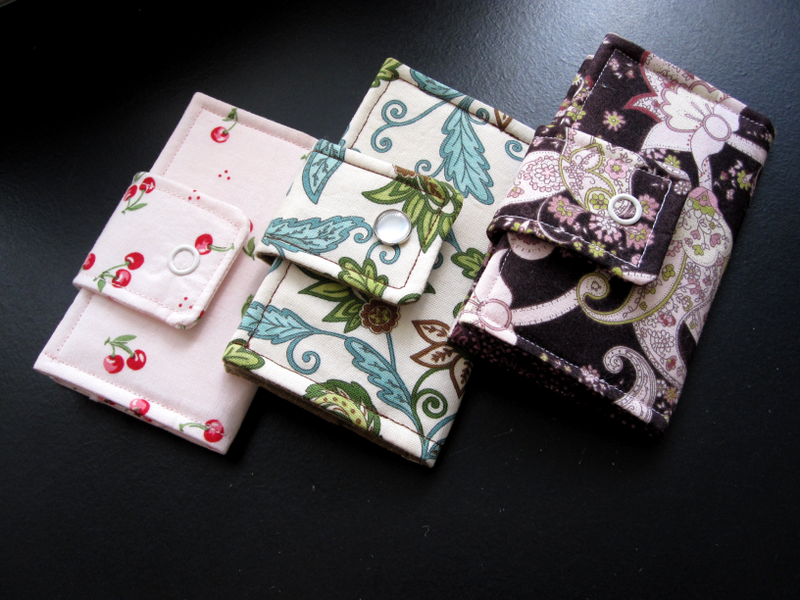 A few of the business card/card wallets I made recently. Oh yeah and I'm already over 29 weeks pregnant today! I can't believe I only have about 8-11 weeks left... I'm feeling really unprepared. It's just sneaking up on me way too fast... I'm trying not to worry about it too much right now. I just want to get through the holidays and all of our birthdays before getting into full on baby-mode. The week after Christmas though, it's on! I was wondering if you would be interested in sharing reciprocal links on each other’s website/blog. I have an area on the home page under “Links we Like” where your blog link with your icon/photo would be posted. I also offer a 10% discount to bloggers who post our icon link on their sidebar. Celestial Fashions carries fashionable and affordable temple dresses in cotton and plus sizes. We also carry affordable blessing outfits, baptism dresses and temple bags. I failed to give you the email address to respond to my request to exchange links on our websites. If you are interested in a link on our Home Page at www.CelestialFashions.com in exchange for a sidebar link on your blog, please let me know.